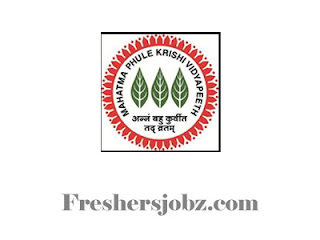 MPKV Notification 2018.Mahatma Phule Krishi Vidyapeeth of Maharashtra has released a notification for the recruitment of Research Associates in the different disciplines of Agri Science. Agri Engg, Social Science and in Engineering in Centre for Advance Agriculture science and technology project on “Climate Smart Agriculture and Water Management”.Check the eligiblity and notification prior to apply for the positions. Mode of applying for MPKV recruitment is mostly through offline mode. 08th September 2018 is the last date to submit applications.